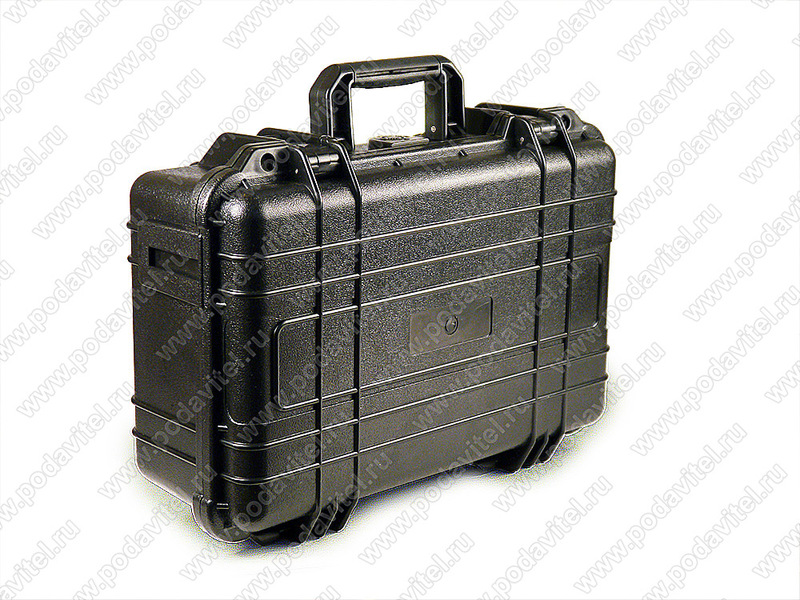 Intelligent acoustic safe "SPY-box Case-GSM"
equipped with the generator of ultrasonic and radio-frequency interference and the suppressor of external voice recorders. Suppression 10 frequencies: - GSM-900; - GSM-1800; - 3G-2100; - GPS-1500; - Wi-Fi-2400; Video cameras 1200; LTE 4G 2620-2690; - Bluetooth 2400-2468; - 4G Mob (MTS / Tele2) 790-826; - 4G Mob (Megaf / Bil) 850-894. 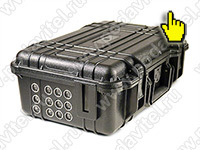 Intelligent acoustic safe "SPY-box Case-GSM" allows you to protect smartphones, mobile phones and tablets from unauthorized connection. This safe is designed in the form of a box storing up to 8 mobile devices with the ability to read information off them or connect to a smartphone for listening to conversations is completely excluded. 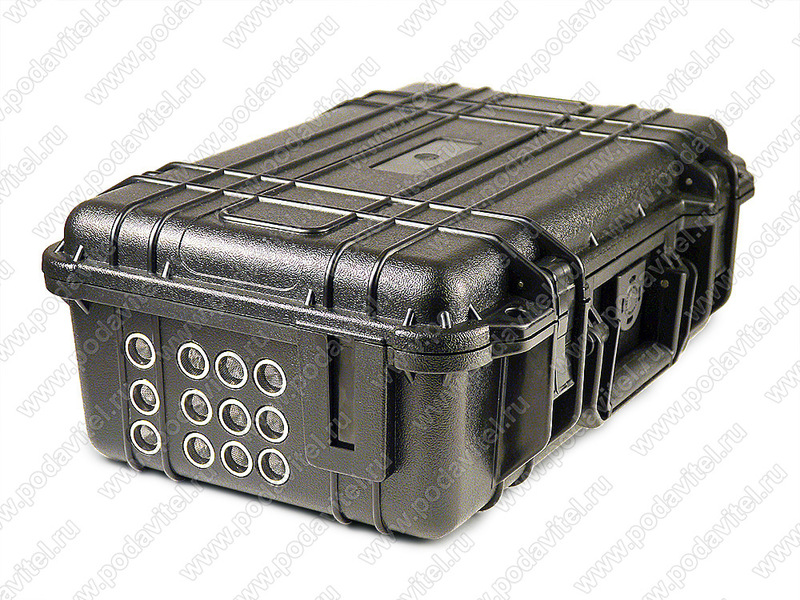 The acoustic safe "SPY-box Case-GSM" is equipped with an intelligent security mode, due to which it is not necessary to switch protective functions manually, as the safe will do everything by itself, if any radio frequency radiation occurs. The ultrasonic impact on the microphone of the mobile device, blocks any audio recording. Blocking of 10 radio frequencies of unauthorized connection using wireless cellular network and mobile Internet. Creating acoustic noise interference on the audio recording is an additional way of protection from recording the conversation via the mobile phone inside the case. The operation principle is quite simple: ultrasound is formed inside the box, which acts on the microphone membrane of the recording device and prevents recognition of speech on the audio recordings. 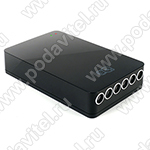 Such device can be used during business negotiations and meetings. 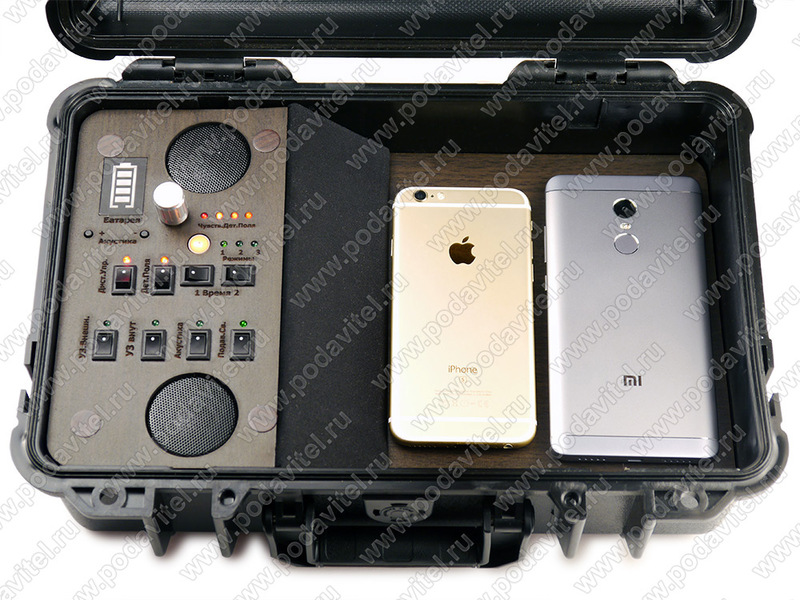 It is enough to put the smartphone in the safe and turn on the blocking of the wiretap. 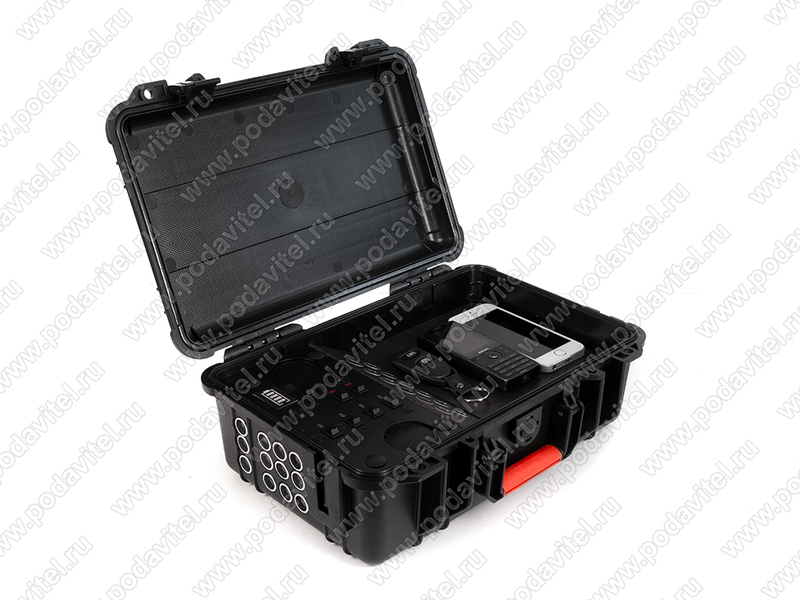 During business meetings outside the office, you can also protect yourself, since the safe is equipped with a battery. The built-in intelligent mode, which does not require manual activation. The suppression is activated automatically when a radio-magnetic field occurs when the wireless camera or microphone, or any mobile device is activated. The radio frequency suppressor is aimed at preventing unauthorized data transmission by mobile Internet and cellular communication, with the suppression radius of up to 15 meters. 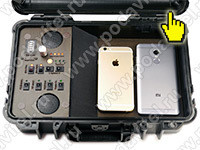 The ultrasound inside the box allows you to block the listening or audio recording of the smartphone inside the case. Twelve external ultrasonic radiators will allow blocking any recording device, thereby preventing audio recording of the conversation. Creating an acoustic noise will prevent making a quality conversation record. Remote control - the ability to remotely activate the required smartphone recording and wiretapping protection mode. You can take the safe with you thanks to the built-in battery. The charge lasts for 60 -90 minutes. Automatic cooling of the device is arranged with the help of a fan. 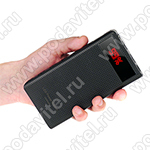 The case is made of special material that protects the devices inside from impact. 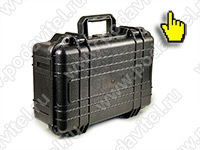 Acoustic safe - 1 pc. Power supply unit - 1 pc.